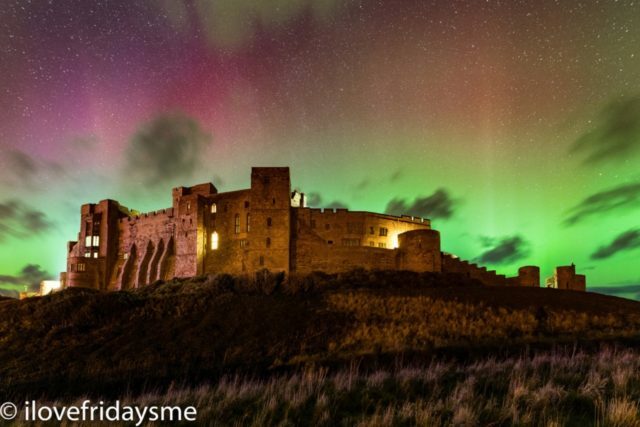 Northern Lights over Bamburgh Castle by Alan Leightley. Two years ago when I lived in Northumberland, my husband and I celebrated New Year’s Eve the way we always do, with a Midnight picnic. When we lived in America we brought the New Year in on the banks of Niagara Falls, in Tanzania it was Kilimanjaro lighting up the sky, in Madeira the biggest firework display we had ever seen. But Northumberland beat the lot with its magic. 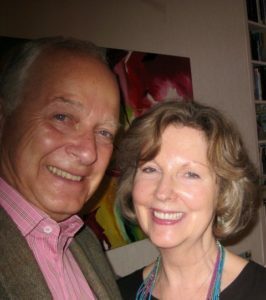 We had both trundled across the sand dunes, wrapped up like yetis in the freezing cold, my husband carrying the chairs and me with my basket containing the precious 3 M’s picnic – Moussaka, Mulled wine and Maltesers. What a sight we must have been. It was bitterly cold and a very dark night, we perched ourselves near Bamburgh Castle, all lit up and looking majestic against the black sky. We sat alone with the waves coming in fast and waited for midnight – when it came we got such a shock – while we thought we were alone, we were actually surrounded by groups of people, who screamed and yelled and laughed and danced on the stunning beach – fireworks exploded all around us. We phoned our children and then huddled together saying precious words to each other. At that point the sky erupted in green – our elusive and beautiful and much wanted Northern Lights were playing their dance straight in front of us. It lasted 43 minutes – we were delirious with excitement and happiness. What a spiritual feeling! There were a lot of tears – never to be forgotten…. Wherever I am in the world I make sure I see the ISS, that too moves me to tears. We can sit on our little balcony here in Eastbourne, right in front of the sea and watch it. I just wish I could be around to see what is going to happen in space in the years ahead, but it is my grand-children’s turn now to experience magic moments. Aurora photograph by Alan Leightley at ILOVEFRIDAYSME Photography.